A fire possibly set by a lost hiker blackened a swath of open terrain in a remote area near Pine Valley Tuesday amid gusty, dry conditions before firefighters were able to subdue the flames. 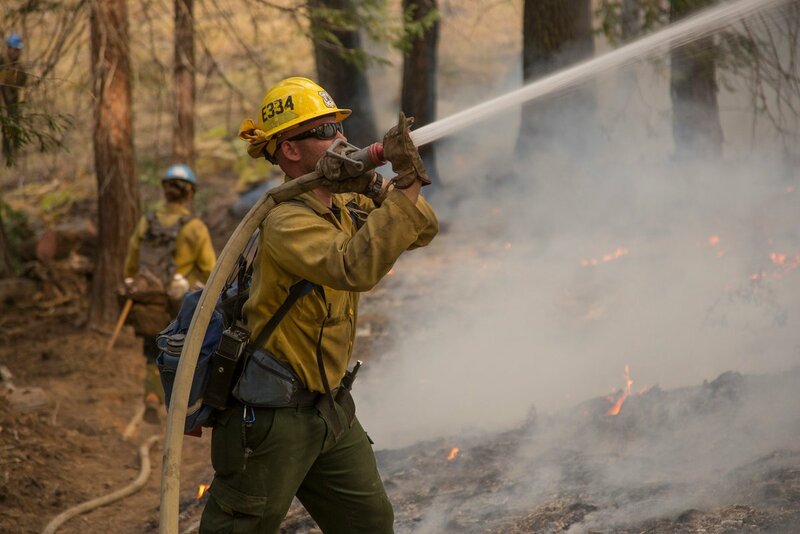 The blaze erupted about 4 p.m. off Japatul Valley Road, near Horsethief Trailhead in Cleveland National Forest, said Olivia Walker, a spokeswoman for the U.S. Forest Service. It took ground crews about 45 minutes to fully extinguish the flames, which scorched less than two acres, Walker said. The spokeswoman said she could not immediately confirm reports that the fire had been started by a man who got lost while hiking in same the rugged area. Medics provided emergency aid to the man, who appeared to be dehydrated, she said. His name was not released. The fire occurred during a National Weather Service “red flag” wildfire alert, which is slated to remain in effect into the weekend due to critical combustion hazards across the Southland.